This Post has already been read 1455 times. In order to perform information technology in AJK education department, Telenor Pakistan and AJK signed a Memorandum of Understanding (MoU). Aamer Izhar, Vice President Corporate Affairs and Security, Telenor Pakistan and Muhamamd Sadiq Dar, Secretary Education, Govt of AJK signed of MoU in the presence of senior officials. The nationwide venture by Telenor Pakistan would help empower a new digital generation in Pakistan. Telenor Talkshawk I-Champ is a knowledge-based program that aspires to offer learning and training to young people to facilitate them to become future proponents in the digital age. In the first phase internet workshop will be held in schools in the semi-urban areas of Pakistan starting in AJK. 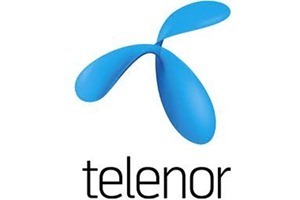 Competitions will be held in selected schools as part of the telenor Talkshawk I-Camp project. Finalists of these competitions will get to visit Opera Labs in Norway to learn more about how the internet is being used by people around the world to gain and spread knowledge.